Sara Price just completed her first-ever SCORE International BAJA 500—achieving a commendable 5th place finish in the Trophy Truck Spec class with navigator Erica Sacks. 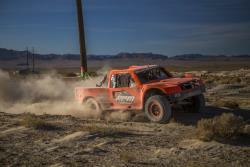 The duo completed all 542 miles together, on a course that many are calling the toughest in Baja 500 history. 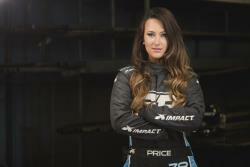 In preparation, Price and her RPM Offroad teammates logged over 1000 practice miles before the official race even began. Price and Sacks battled fuel pump issues during the race, but the RPM Offroad team was able to execute quick repairs that kept the truck on the course without further issues—allowing them to finish in 14 hours and 47 minutes. Price will continue to compete in the SCORE International series in the Trophy Truck Spec class under Team RPM Offroad. The SCORE International series includes many desert races on the Baja California Peninsula, including the San Felipe 250, the Baja 500, and the Baja 1000. She earned second-place overall in the side-by-side championship of the 2015 Lucas Oil Regional Series, and won the Terracross Championship that same year. In 2016, Price was the first woman to lead laps in the Robby Gordon Stadium SUPER Truck Series, and was named the 2016 Off-Road Motorsports Hall of Fame Rising Star—a prestigious honor intended to recognize remarkable talent. She has also worked as a professional stuntwoman and precision driver for television and film. Look for Sara Price in the SCORE Tijuana Desert Challenge, taking place from September 19-23 in Tijuana, Mexico.